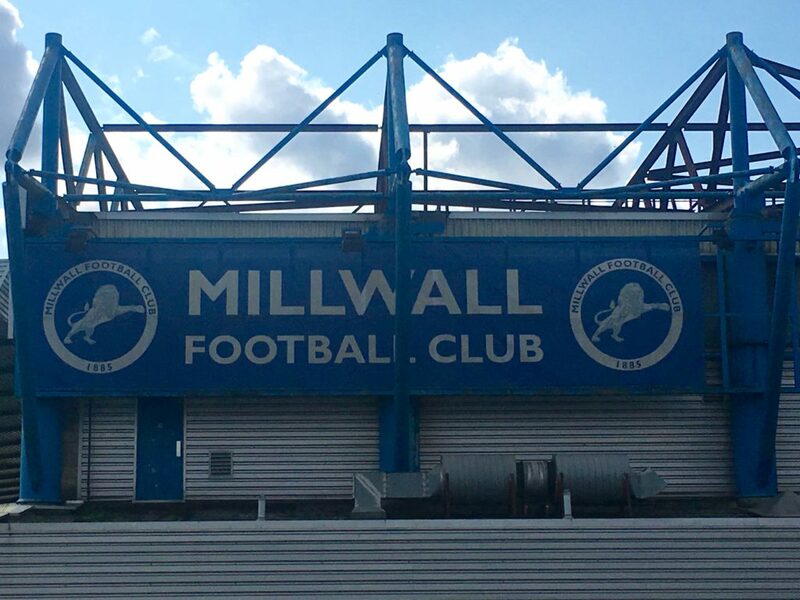 Millwall Football Club is close to reaching an agreement with its local authority, Lewisham, that would see the club stay in its south London home. The club is now working on its own plans to transform the stadium and the land around it. There had been fears that Millwall would be forced out of Bermondsey by Lewisham’s attempt to compulsory purchase land around The Den. After a lengthy battle the council finally abandoned those plans under huge public pressure, although the threat remained that the process could be reignited to force the development through. However, the Guardian understands that under the new Labour mayor of Lewisham, Damien Egan, club and council have enjoyed increasingly productive discussions. The only “fears” that Millwall Football Club would be “forced out of Bermondsey” have been those alleged as part of the club’s public relations strategy – a strategy for which the Guardian has been a legitimising conduit. There was no “huge public pressure” for Lewisham Council to abandon the compulsory purchase order. Any “increasingly productive discussions” between the club and Lewisham’s new Mayor, Damien Egan, are occurring primarily because of promises Egan made in the aftermath the abandonment of the compulsory purchase move – promises which have now put the club more in the driving seat than before. Let’s recap in more detail. Lewisham partnered with a local developer, Renewal, in the first place because it had become the principal property owner within the 30-acre area earmarked for redevelopment and was thought able to deliver a scheme to the council’s liking. Renewal secured outline planning consent in 2012 for a scheme called New Bermondsey. Its proposals encompassed land right next to Millwall’s stadium, which Millwall and an associated community trust lease from the council. Renewal was unable to reach a deal with the club, whose ultimate owner is the Boston-based US businessman John Berylson, to buy or jointly redevelop the land, and in 2016 the council decided to make use of its compulsory purchase powers to end the impasse. Millwall protested that losing the contested land would have “a devastating impact” and in early January 2017 the Guardian reported its claim that it might have to move to Kent as a result. It is a claim that should be approached with care. The regeneration plan envisages Millwall FC being at its heart rather than going elsewhere, and the CPO did not encompass the club’s stadium. In any case, the enduring reputation of some Millwall fans for unpleasant behaviour – the Football Association is looking into reports of it at its recent match with Everton – makes it hard to imagine any town in Kent, where many Millwall fans live, or anywhere else wanting it turning up in its backyard. Even more circumspection is merited by allegations the Guardian itself made about the council and Renewal when the CPO process got underway, principally that a charity set up by Renewal with council support to finance sports facilities as part of the scheme had made “false claims” about backing from Sport England. The Guardian coverage also made repeated play of the fact that Renewal is registered off-shore and of “historical connections” between the head of the company and councillors and officers. What the Guardian has yet to do in its Millwall coverage, including in its most recent piece, is inform its readers that the company that owns 70 per cent of Millwall, Chestnut Hill Ventures, is itself registered in a tax haven – Delaware, as the Guardian itself had reported in a different context two years earlier. In August 2017, government watchdog the Charity Commission dismissed claims that the charity had been engaged in dubious activities, such as money laundering. Its investigation concluded that statements about funding from Sport England had been “made in good faith and did not have the intention to mislead”. In September 2017, a judge-led Freedom of Information tribunal rejected every one of a string of “red flag” claims of wrongdoing by Lewisham Council in connection with New Bermondsey made in support of an appeal against the council’s refusal to disclose certain information. The appeal was formally brought by a journalist (not from the Guardian), whom the tribunal’s members noted with “disappointment” had been acting as a proxy for the football club. Following these findings, in November 2017, Lord John Dyson, then recently retired as the second most senior judge in the country, published a 140-page report, commissioned by the council, which concluded that all claims of impropriety and failure to follow correct processes by council officers were unfounded. Dyson also found “no evidence” to support the Guardian’s “central allegation” about false claims about funding for the sports charity. But by that time, Damien Egan, who had previously backed the CPO, had declared that the Guardian’s allegations – the ones that have since been successively dismissed – “completely undermine Renewal’s credibility” and announced he was now opposed to the use of CPO powers to take ownership of the land next to Millwall’s stadium and in favour of the club playing “an active part in the future of any development”. The contest to become Labour’s candidate for the 2018 mayoral election – and effectively mayor-elect – was underway. Momentum, the Jeremy Corbyn-supporting pressure group, is strong in Lewisham. It had formally endorsed a different candidate. Taking the side of an “offshore” property developer in its desire to acquire publicly-owned land was unlikely to endear Egan to that part of the local selectorate. He eventually topped the poll, pushing the Momentum candidate into second place. So what of the topline of the latest Guardian piece about Millwall, with its assertion that the club is “close to reaching an agreement” with Lewisham? An agreement about what? “The club is now working on its own plans to transform the stadium and the land around it,” the Guardian says. To which some local observers respond that they’ve heard that one before. Serious, detailed proposals for conducting its own development work have never been presented to the council by Millwall. Last August, it was reported that Millwall “will propose a plan” to redevelop its ground, The Den, and the land around it. The latest Guardian piece admits that “plans are at an early stage”. Stadium architects AFL have been appointed to come up with a design for an expanded stadium fit for a Premier League club, but a design is one thing, financing it and additional adjacent building work and getting it all through the planning process is something else. Millwall’s team is presently near the bottom of the Championship. The scheme is said to be ambitious, and would require outside investment. Talk is coming from the club that an investor is very interested, but nothing has yet been announced. For now, Egan is being hailed by the club, its supporters’ association and the Guardian as a true people’s leader, demonstrating virtues his predecessor lacked. Others think he’s backed himself into a corner, leaving Millwall to pursue what Lewisham’s barrister depicted at the FoI appeal as its narrow, parochial interests. In the meantime, two other heroes of the Guardian’s Millwall narrative have long since disappeared from the script. Councillor Alan Hall, who chaired the council’s scrutiny committee, no longer holds that post. Willow Winston, an artist who contested a Lewisham seat in the 2017 general election as a protest against the CPO and whose home was subject to it, reached a settlement with Renewal and moved some time ago. Winston gave evidence at the FoI appeal. A sympathetic character in this mis-told tale, she expressed concerns felt by many about the rapidity and nature of change in the capital city. Tellingly, however, she was unable to persuade the tribunal team that the “huge public pressure” the Guardian still insists existed actually ever did. At most a handful of people lived in the New Bermondsey scheme area, which is dominated by industrial premises. As Property Week has reported, Renewal intends to submit a new masterplan which will formally accommodate Millwall’s “emerging plans”. Renewal director Jordana Malik said that the company, the club and the council “are all in agreement that the regeneration of New Bermondsey should happen.” That is nice to hear. The scheme envisages 2,400 new homes, 35 per cent of them affordable, new sports facilities an a new London Overground station. What a shame it isn’t happening already.